Many construction tasks can be boring, dangerous and lead to operator health problems. Due to their repetitive nature, productivity can also be affected, and accuracy can be difficult to maintain. These factors and other challenges faced by construction businesses, have led directly to the development of ranges of construction robots which have proven effective in projects around the world. Robots in construction provide benefits as they cut labor costs while improving the speed of production. In addition, since drilling and breaking (two of the most common uses for robots) can lead to dust or other particles being introduced into the air, the use of robots can lessen health risks for site workers. The use of robots in the construction industry is forecast to grow considerably over the next five years according to recent research. Valued at $76.6m in 2018, it is estimated the construction robot market will more than double in size to $166m by 2023 — growing at around 17 percent a year. The report, by MarketsandMarkets, states that growth will be mainly driven by factors such as demand for enhanced productivity, quality and safety. The semi-autonomous segment is the largest currently, accounting for 67 percent of the overall construction robot industry, with common tasks for this type of equipment revolving around infrastructure monitoring as well as predictive and corrective maintenance. Labor shortages are also predicted to lead to the rise of working robots over the next five years. This particular market segment is expected to experience the highest levels of growth between now and 2023. Regionally, it is reported that Europe is experiencing the greatest increase in the demand for construction robots, although that has not stopped companies in the U.S. from taking advantage of the benefits of the equipment. European use is attributed to the large facilities of various companies for the development and production of construction and demolition robots, the increasing number of government regulations and the growing need for the residential and non-residential construction projects. Scandinavia has now become the global center for construction robots with Husqvarna and Brokk both producing ranges of tracked robots capable of numerous tasks. These robots have come a long way since first being introduced and now are powered by diesel or electric engines. They are of a compact size and programmable to undertake quite complex tasks. 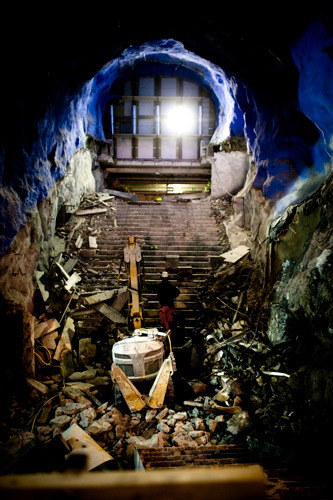 Swedish company Brokk has been in operation for more than 40 years, with its offering being concentrated on remote controlled machines for safe, efficient, powerful and profitable use. The company’s beginnings were focused in the demolition industry, but now the extensive product ranges have been adapted to new market demands, challenges and application areas. This has resulted in Brokk robots now being used in all areas of construction — from aggregates to tunneling and everything in between. Two recent developments from Brokk show just how all encompassing the company’s offerings are. At the compact end of the market, Brokk has recently introduced the Brokk 120 Diesel Mark 2 — the world´s smallest diesel-driven demolition robot. This compact machine can operate independently and untethered for over eight consecutive hours and effectively tackle the most demanding of jobs. The basic concept behind this little demolition robot is its compact size — 780mm wide (approx. 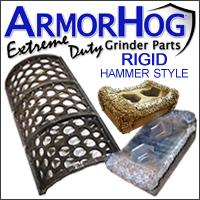 31 inches) — enabling it to enter through any standard door opening, making it easy to maneuver in tight spaces. Its low weight of 1,200kg (2,645 lb.) 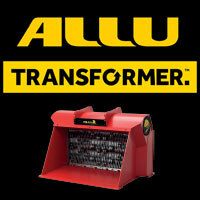 enables it to work on weak floors and is easy to transport to and from work sites. Powered by a compact but powerful diesel engine, it has a minimum of eight hours of operation without refueling, making it independent from any power source for at least a full work shift. 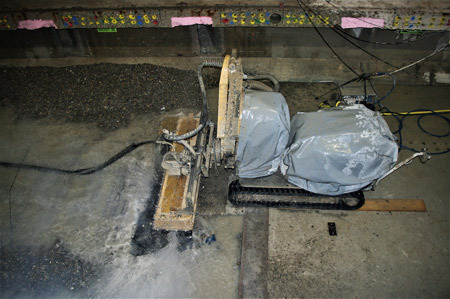 At the other end of the robot scale is the Brokk 500, which features enough power to use a breaker attachment. Launched at Conexpo 2017, the Brokk 500 adds 40 percent more breaking power delivering 1,500 joules (1106 foot-pounds) punch with each blow of the 700kg (1,543 lb.) hydraulic breaker. On top of that it adds further length to Brokk’s signature three-part arm system, making it ideal for work where the extra reach is of importance. The Brokk 500 also comes complete with the new intelligent electrical system – Brokk SmartPowerTM. This new smart electrical system is a key feature in facilitating the performance of the machine, as it maximizes the power output based on both environmental and operating factors. 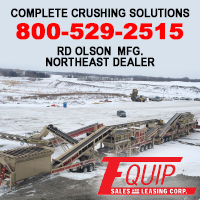 The system is uniquely designed for a tough operating environment with its components being either designed or modified to withstand difficult operating conditions. Another Swedish company leading the robotic field in the construction industry is Husqvarna Construction Products. Part of the Husqvarna group, the company is a leading provider of innovative total solutions for cutting, sawing and drilling, surface preparation and remote demolition. Its equipment has been designed and developed to operate even when dealing with the most demanding of construction materials and environments. The ethos of Husqvarna’s robotic product development has been that when a job is too strenuous, challenging or too time consuming for human workers, its remote controlled three phase electric powered robots are the ideal workmates. Thus the Husqvarna DXR series of remote controlled demolition robots feature high power, low weight and functional design. They are said by the manufacturer to be the obvious choice for users who want maneuverable, yet highly powerful, stable machines with long reach. The range of Husqvarna demolition robots consists of five basic models, ranging from the 15kW DXR 140 with 360°+ rotating arm to the 22kW DXR 310 with telescopic arm. Weights range from 985kg (2,172 lb.) to 2,020kg (4,453 lb.). With differing feature packages, the DXR range is available in 17 different variations, allowing customers to choose a configuration and optional extras to suit their specific needs. The latter point is perfectly shown by the Husqvarna DXR 140, which possesses one particularly smart feature: the arm can rotate 360 degrees like a battle tank turret. This allows excellent reach, enabling users to work more efficiently without moving the robot once it’s securely positioned on its outriggers. 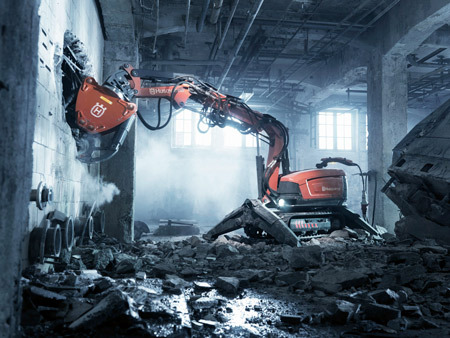 Featuring a wide and expanding range of attachable tools and accessories, Husqvarna’s DXR machines are useful and efficient for virtually all heavy and hazardous work on any construction or refurbishing site. The Husqvarna robots have proven themselves ideal for breaking, crushing, shearing, digging, shoveling, grappling, surface removal and trenching. Swedish company Conjet has developed a slightly different application for robots. The company formed in 1990, when the senior staff in charge of Atlas Copco’s Conjet project purchased the organization and formed the independent company Conjet AB. The new company focused all its attention on the design, development and manufacture of robotic high-pressure water jetting equipment. Now exporting 95 percent of its turnover, the firm is considered to be the world’s leading specialist in design, development and manufacture of remotely operated, computer-controlled hydrodemolition machines. The Conjet robots range start with the Robot 327, which weighs just over one metric ton and has been developed to work in confined spaces and areas inaccessible to larger hydrodemolition machines. It passes easily through less than a 0.9m (3ft) wide opening. Different variations of tools and arms can be combined to match project needs. Beside the arm and tool configurations, the high-pressure lance of Robot 327 can be equipped with either a single nozzle or a double nozzle assembly. Conjet’s largest robot is the Robot 557, which features what is said to be the latest technology in hydrodemolition. Combining reach with flexibility and equipped with a powerful diesel engine, the robot has proven to be an excellent tool for a variety of projects. It comes equipped with a flexible multi-purpose arm (MPA) and has the stability of an adjustable main body to create a versatile and compact robot with reach. Mounting a tower tool or mast kit on the robot can extend the vertical reach. These features have made it particularly useful when dealing with parking decks, bridges, high walls, tunnels, quays and docks. An often-neglected area of construction — but one where robots are proving to be of great worth — is underwater. In particular, for routine inspections, which are the key to the long-term care and success of infrastructure. Underwater infrastructure routine inspections to check the integrity of a dam, bridge, reservoir, etc., were historically arduous and difficult. Often dangerous, divers are placed in hazardous situations for a task that is taken for granted on dry land. These inspections become more important over time, due to the effect water has on construction materials. Canadian company Deep Trekker has developed a range of robots ideal for these applications — ROVs or remotely operated vehicles. The Deep Trekker DT340 Pipe Crawler product line, for example, is specifically designed to perform infrastructure inspections of pipeline systems. The pipe crawler is submersible up to 50m (164 ft), making it ideal for a variety of municipal inspection projects such as storm and sanitary systems. The system builds on the same principles of the Deep Trekker ROVs, but is specifically configured to crawl through pipelines with a live video feed of the pipe’s integrity. Deep Trekker’s ROVs and pipe crawlers do not require an external power source such as a generator or topside box. They are equipped with powerful internal batteries specifically designed to provide extended operating life required for lengthy infrastructure inspection, maintenance and repair jobs. The ROVs and pipe crawlers have also proven to be highly valuable tools for construction projects in marine or underwater environments, coming equipped with a handheld controller which allows the operator to maneuver the inspection vehicle without having to enter the water. The controller is also easy to use and does not require an extensive training period. In addition to infrastructure inspections, the ROVs may serve as supplemental tools for marine construction and underwater surveying. Whether we like it or not, robots are here and are part of the continuing automation in the construction industry. 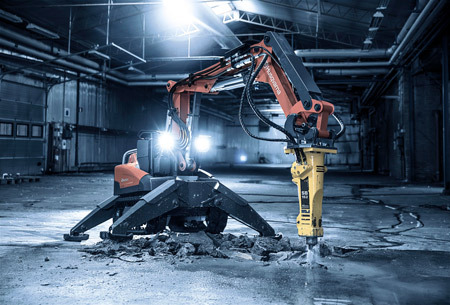 Although initially developed for specific demolition tasks, the construction robots are now of such varied sizes, shapes, weights and powers that they are capable of dealing with various tasks encompassing many different applications.